This film was one of the most wanted. As everyone else I waited for it too. However I'm not the lucky one so I missed it. Film was off the big screens and that's how I started to wait again. For a DVD release now. Right now I can proudly say that the film is watched and even a book is read. "Hunger Games" is what I'm talking about. Great screening of not really great book. 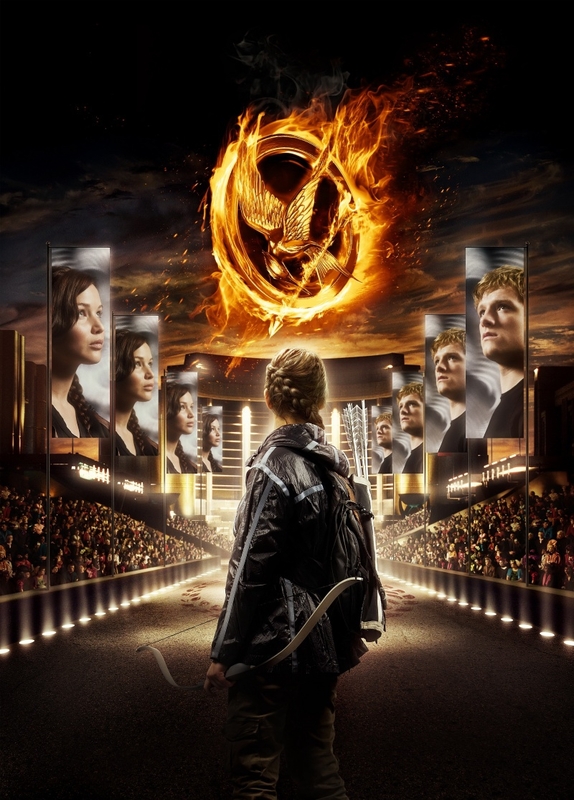 For 74 years 12 districts give 24 children(Tributes) for they killing each other at the arena of Hunger Games. That's not what people should put up with but District residents can't even think about resistance. Hunger Games are their castigation for rebellion, which happend 74 years ago. Capitol - utopian capital of Panem - is the organizer of Hunger Games. Capitol citizens remind me of us, present-day people. I'm absolutely sure if Hunger Games were real, everyone would watch them. Capitol is dramatically different from districts: citizens are indescribably rich, they wear colorful, vivid, expansive clothes, live without knowing sadness and sorrow. At the same time, the main character Ketniss Everdeen - a girl from District 12 - has to search for food across the border of Distict. If she is caught, her tongue will be cut off. That is a rule of Panem. During the whole film you're forced to feel great tension. I remember feeling everything everything that Ketniss felt. (I hope I'm not the only one whofelt like this.) That's what I really like about this film couse, seriously, it's very hard to make viewer to understand allmost everything that happens in character's mind! If you like being immersed in the atmosphere of imagined film-world, this film is for you. Speaking about book, it differs from the film. As always. You can find characters, who haven't been showed in this film. A lot of characters, actually. The order of characters deaths, the way they die and even filling of backpacks are changed too. Hate this but should deal with. That's okay. "Hunger Games" is a first part of trilogy. Second part "Hunger Games: Catching Fire" comes out in november 2013. Strongly belive that won't miss this one. Happy Hunger Games. And may the odds be ever in you favore. Тема "Простая". Автор изображений для темы: follow777. Технологии Blogger.